"Former Ranbaxy promoters will be jailed"
(Insider Bureau) New Delhi - The Supreme Court on Friday served stern warning to former Ranbaxy promoters Malvinder Singh and Shivinder Singh stating that they will be sent to jail if they were found guilty of contempt, news agency PTI reported. The top court decided to go ahead with the contempt proceedings against them. The apex court expressed its dissatisfaction over replies of the former Ranbaxy promoters on payment of Rs 3,500 crore arbitral award amount to a Japanese firm. The court has fixed April 11 as the next date of hearing on the contempt petition against the promoters. “You may be owning half of the world but there is no concrete plan as to how the arbitral amount would be realised. You said that somebody owed you Rs 6,000 crore. But this is neither here nor there,” the bench was quoted as saying by PTI. Malvinder and Shivinder Singh have not paid up the Singaporean arbitration award of Rs 2,562 crore to Daiichi Sankyo. In March, the Supreme Court had asked the two former Ranbaxy promoters to apprise it how they propose to comply with the arbitral award passed against them by a Singapore tribunal. Chief Justice Ranjan Gogoi-headed bench of the court had asked the Singh brothers to consult their financial and legal advisors and give a concrete plan on how they will comply with the tribunal’s order.“You were the flag bearers of the pharmacare industry and it doesn’t look good that you are appearing in court,” the bench, also comprising justices Deepak Gupta and Sanjiv Khanna, had then remarked. Japanese firm Daiichi Sankyo had approached the Supreme Court seeking to recover Rs 3,500 crore, awarded to it by a Singapore tribunal in its case against Malvinder and Shivinder Singh. 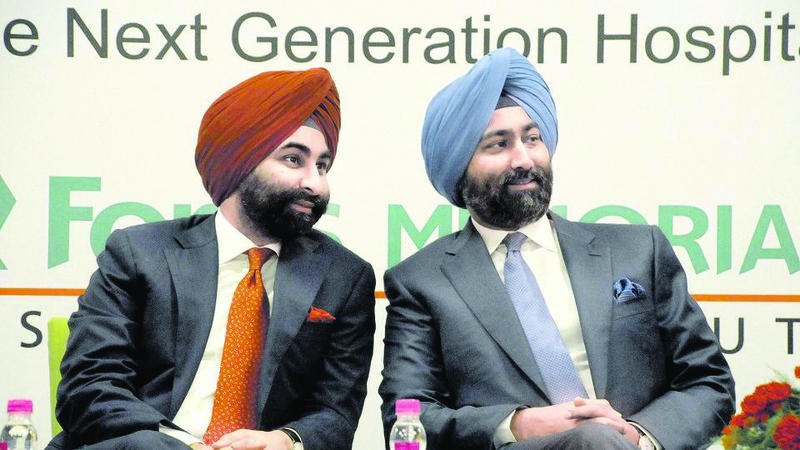 Daiichi Sankyo, in its contempt plea filed against the Singh brothers in the apex court, has said that it was promised some shares of Fortis Healthcare by them. Earlier in December last year, the top court had ordered status quo with regard to the sale of controlling stakes of Fortis Healthcare. The court had, however, refused to pass any interim order on pleas relating to the sale of controlling stakes of Fortis Healthcare to Malaysian IHH Healthcare Berhad.The board of Fortis Healthcare had approved in July last year a proposal from IHH Healthcare to invest Rs 4,000 crore by way of preferential allotment for a 31.1 % stake. Daiichi had bought Ranbaxy in 2008. Later, it had moved the Singapore arbitration tribunal alleging that the Singh brothers had concealed information that Ranbaxy was facing probe by the US Food and Drug Administration and the Department of Justice, while selling its shares. Daiichi had to enter into a settlement agreement with the US Department of Justice, agreeing to pay USD 500 million penalty to resolve potential, civil and criminal liability. The company had then sold its stake in Ranbaxy to Sun Pharmaceuticals for Rs 22,679 crore in 2015.